Older people remember well the favorite heading of ideologues, political analysts and of the mass media “Two worlds – two ways of life.” There are periodically appeared on television an advertisement, usually in gray or black and white, where the person being semiconscious does himself a shot into the arm and then crashes out. It became fearfully by what was seen and could not believe that such “horror” will step off the TV screens to homes, where people perceive them as something impossible. Who would accept that adults men with time build up the sports areas and young people leave them and go into basements and attics to improve bad habits! Drug addiction among young people of our society now has the same sizes as in the old movies. The average age of young people for whom a bad habit has become a condition of existence varies from 15 to 17 years. Interest in narcotic drugs among children 9-13 years of age has increased much. There known cases when the first taste is made by children in an age of 6-7 years. And there is no need to guess: the parents of these children – drug addicts. According to statistics, children’s drug addiction has reached such sizes that it’s impossible to ignore this evil of society anymore. 9 out of ten students know the taste of marijuana. Every fifth addict – is a schoolboy. 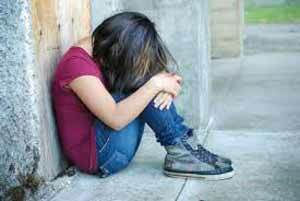 60 percent of the number of drug addicts – are young people aged between 16 and 30 years old. 70 percent of drug users first tried drugs in the corner of the school building, in a club or disco. One addict can collect almost half a dozen of “companions”. The rate of infant mortality has increased in 42 times. In this figure, sad statistic affects the fact that the life expectancy of drug addicts are limited to 4-5 years. This number of sad statistic is affected by the fact that the life expectancy of drug addicts are limited to 4-5 years. It is contributed by the indispensable companion of addicts – AIDS. . In Ukraine, almost 120 thousand of drug addicts die from HIV / AIDS infection, hepatitis, tuberculosis, and cancer-specific. These numbers are called by independent experts who study addiction and disease, provoked by this harmful habit. 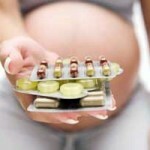 According to the calculations of other experts about million Ukrainians use drugs. National Ministry of Health leads another number: over half a million citizens take strong drugs. In recent years, drugs have become a major obstacle full human development. One of the reasons – is accessibility and a wide variety of narcotic drugs. Parents try to protect their children from being drawn into the circle of bad habits. But often it turns out the vain application of forces. Unfortunately, the tendency to drug consumption is growing all the time. Curiously enough that it is contributed by the promotion on television and in the media. Earlier there was even taboo on a conversation in the presence of children. Some had no idea about the problem of drug addiction. Now information about drugs is gotten by children, as they say, from the first hand. Moreover, the availability of such drugs allows at any time to try the taste of drugs. As it is well-known, “first taking” of narcotic drugs is seductive and provokes for a “second toast.” A teenager loses control quickly and quietly. Someone else’s misfortune from the effects of habit is used by traffickers with absolute advantage. So, parents should be attentive to their children, and in the case of the first suspicion to react actively. First of all, we should confidentially talk to the child without increasing the voice. If the conversation “is successful” and he confesses, in any case it is impossible to make “a spanking” for him. You should find out which drugs he took, how long and how the child feels at the moment. The conversation should help a teenager to “to open up” to adults and to accept the offer of help. After that, it’s needed a consultation of experts. They will help the young man to explain that addiction – is not a sentence of fate, timely visiting doctors and rehabilitation course will help to restore health. According to the observations of physicians, there are several reasons, the factors contributing to the early taking of drugs. Biological. They imply an innate predisposition of the child to a drug. They are fully formed on parent’s dependence and low resistance to psychoactive drugs. The behavior of a young mother during pregnancy has a paramount importance. This category also includes the impact of some medicines. Social. Family, school, and friends have a large impact on a child. A child should not feel any excessive care from the parents or by the school. Each one bears its share of responsibility, but it does not mean that someone is given priority and the corresponding responsibility. Everyone should be not just attentive to the young person, but also to consider the drug situation, which was formed in a particular place of residence of the child. A teenager can respond very painfully to the relationships within the family. Psychological. Irritability and isolation of the child are often the factors pushing to bad habits. The additional impetus in this direction can make the unformed character of the adolescent and, as a consequence – the first attempt to feel “high”. Heart emptiness. Apathy and indifference to what is happening around the turn into meaninglessness of his the importance in life. Attempts to find their own way out of any difficult situation, often pushing for doubtful decisions by the effectiveness. Here, the invaluable role is played by the timely intervention of the parents. Will they be able to “catch a moment” and find their bearings in time – is a question on which the future behavior of the child depends on. The instability of mood. Sudden changes from hyperactivity to apathy, from a sudden burst of joy to the complete indifference, should alert adults: maybe drugs provoke mood swings? Change the rhythm of sleep – is another cause of concern in the child’s behavior that should make parents look at the child. It is manifested in lethargy and sleepiness during the daytime and activity during night-time. Table manners and appetite. The teenager, taking drugs, can refuse from food for a long time at all. But in moments of the output of the active substance from the body, it manifests itself, as they say, by “voracious appetite”. Teen eats hungrily, his movements jerky and impulsive. Summarizing the main causes of drug abuse among children, experts have concluded that the development of drug abuse in the hands of parents and the adolescent environment, and the young man. Nobody of his environment and, first of all, parents have the right to let go children’s upbringing out of their control and leave them “out of sight”. interests, character, new friends have changed. Unfortunately, the modern routine does not leave time to look closely at your child, give him due attention. Parents give their forces for a career; tend to occupy an appropriate place in society, to support the family. Many who let children’s upbringing run itself and does not wonder how he’s doing at all. And still Yet, it is necessary to find time for your child. In all cases relating to human health, it is noted the importance of prevention of disease. Since drug addiction – is also a kind of disease, then the prevention should be the first. Primary prevention lies in the prevention of occurrence of diseases or disorders, it should forestall negative results and reinforce the positive development of personality. self-actualization of a child to control his own destiny, etc. Secondary prevention, aimed at creating the conditions for the change of pseudo and maladaptive patterns into a positive direction. Tertiary prevention concedes much to the first two by its capabilities. It is characterized by techniques able to replace the pathological behavior links of the young man to his health. prevention, aimed at clarifying the negative consequences, caused by the use of narcotic drugs. Scientists have developed different kinds of prevention programs based on different theories and to struggle with child’s drug addiction. Motivational programs based on the theory of motivation, focused on positive changes at each stage of life and, in particular, recovery of man. The theory of life skills is based on the necessity of positive changes in human behavior and his constant development. A third theory of an alternative drug addiction is the theory of activity, focused on the development of knowledge, skills, aesthetic and creative experience, social and employment policy, etc. No matter how carefully the theory of problematics, in practice, it definitely will have its own characteristics. 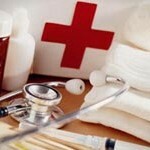 But in any case, prevention of drug addiction – is always better and cheaper than any treatment. It should be remembered that the categorical prohibitions, as always, give the opposite effect. It is impossible to restrict the curiosity of a young man. Isolation the baby from the outside world is not real. The list could be gone on. But the main recipe for preventing, in any case, is one: you have to love the bearer of the family not for the evaluation at school, not for his achievements at work, etc. Love your children, because you have them. How to Withdraw From a Binge?